OK…so, you’ve trained a dog or two…from start to finish. Congratulations! Your time, effort and devotion have paid off and your pup is well-behaved, loving, fun, welcomed by others and, most importantly…safe…in AND outside your home. 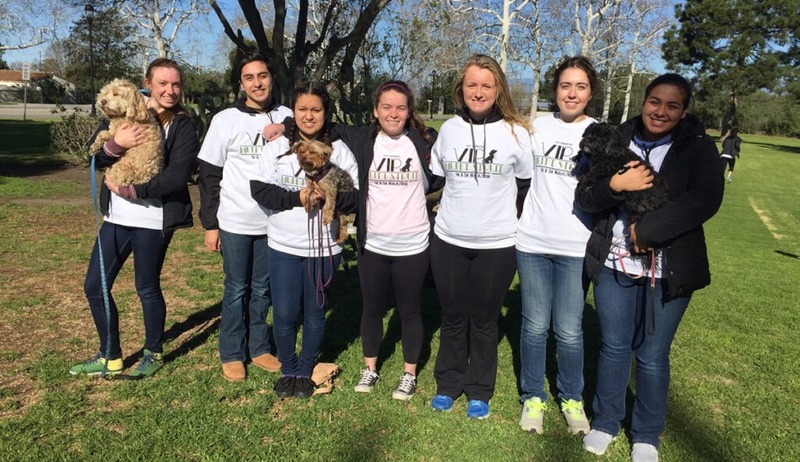 You’re on your way to becoming a dog training volunteer! The experience has not only been rewarding, but it’s lit a spark in you. Big time! For quite some time, you’ve known about and seen how Service Dogs help people. You see them around town helping the blind, the hearing-impaired, servicemen suffering from PTSD, people with seizure disorders and many other disabilities. Bumped up a notch or three, you KNOW your skills can help these people and you are READY for a new challenge! VIP Dog Teams is currently and very actively looking for passionate pup lovers like you to become Volunteer Assistant Trainers! You will work closely with our Senior Trainer, helping to turn friendly dogs into full-fledged Service Dogs. First, we’ll need you to commit for 6 months and attend an orientation to training and an ongoing one-hour class per week in Camarillo. We provide all the training materials…you pay nothing. Next, follow the link below and fill out the online Assistant Trainer Application. On it, you will tell us about yourself, the kind of training you’ve done (obedience, agility, etc. ), the techniques you’ve used, your home environment and other information that will help us determine the best way for us to work together. And who knows where this could lead? Being a dog training volunteer could be a fun new hobby or the beginning of an exciting and rewarding new career. When you’re doing what you love, you never have to work a day in your life! If this all sounds good…then click that link and contact us now. We look forward to hearing from you!! How Do I Make My Dog a Therapy Dog?